First you do it to engage your customers and potential customers – to help them and to lead them to new or more services. Almost nothing about content production or video production is easy. On the other hand, if you’re willing to do the work or if you’re willing to outsource this job to an agency like us, the investment pays off in the long run. 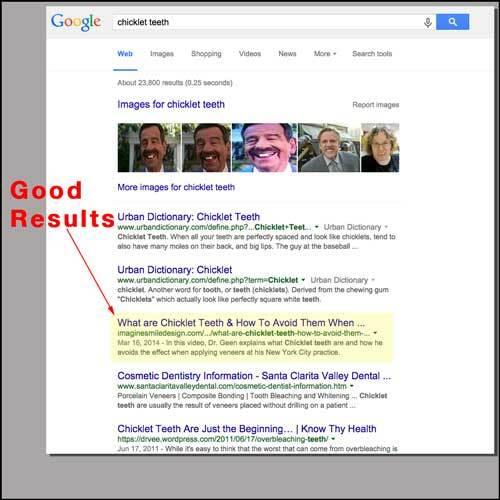 If you do it a certain way, it will almost certainly increases your chances of appearing higher in search engine result pages for phrases that your potential customers are searching. That said, the rest of this article will demonstrate why it’s effective and give you the steps to follow. * Video content must be helpful and it must answer questions or solve problems that your customers or potential customers are searching for – we call those the target phrases. * The video must live on a page that is optimized for the target phrases. To fully understand why it works, lets look at how people typically search and see if this sounds true to you. When looking for something on the web, people type a phrase into a search engine like Google, they may or may not scan the snippets of text in the search engine result pages, then they go to the first result that seems to match what they’re looking for to see if that web page answers their question or not. If not, they go use the web browsers back button to return to the search result page and then they click on the second link that seems to answer their question. They might do this two or three times and, if they still don’t find what they’re looking for, they usually type in another, often more specific, phrase instead of looking at the same result page. While people are searching like that, Google is testing things and tracking things like the user bounce rate and the user’s duration on your site. So if Google has determined that your page might be relevant for what people are searching, they will show them one of your pages to see what happens. If most of these users bounce off your site right back to the search result page — that’s a bad thing for you. It’s letting Google know that your page isn’t what those user was looking for and Google will stop featuring your content over other content that does better. On the other hand, if some of the users stay on your page for a while before clicking back to Google, or if they book mark your page or return to your page in a future search — that’s a good thing for you. Google will start to reward you (and the users) by featuring your content above other content that does worse. That’s where video comes in. A certain percentage of people are willing to watch short videos that seem to address the subject matter that they’re searching. Google will notice this and that page will rise to the top of the listings. The photo above is of a screen shot of our client as #3 for a phrase we targeted. He also is on the front page for important phrases that his customer is searching. When you create video content that helps your potential customers to learn and make choices, and if you present that content in a certain way, it will help your web site appear higher in the Google search result pages. Step 1. – Make a list of what are your customers asking you. It should be a long list of topics or subjects. Add to it a list of things you want your customers doing. A dentist might want them brushing properly. A therapist might want them doing certain training. A yarn seller might want them to learn new techniques. Step 2. – Answer those questions, one by one, on camera. It’s best to use two cameras to help you when it’s time to edit and make sure you get good audio. Step 3. – Book end those questions with an introduction and a call to action at the end of the video. Edit the videos and make sure your phone number and web site are on the video. Step 4. – Transcribe the videos so that Google can index the content in the video. You will probably naturally used phrases that your customers are searching and so it’s important to have these in text. Also, a certain percentage of users will want to read the content instead of watch it. Step 5. – Publish the content on a schedule into your blog and have it automatically post to your social media accounts. Ideally the content will be surrounded by a contact form or a way for the user to subscribe to future videos. Step 6. – Setup a remarketing campaign on Google so that you can reach these viewers again later with your marketing campaigns. Here is an example of our video content embedded on a blog designed for SEO. Notice how there is a transcription underneath, and that the form for initial consultation is next to the content. He has a whole library of FAQ content so that he potential patients can get to know him before they even call. By the time they call, they’re ready to move forward with the procedures. These are essential elements for great marketing with video content production. If any of this sounds complicated, confusing or too much trouble, consider outsourcing the task to us. 646.519.2451 or reach out to us using the form on this page.